How are justifications for religious violence developed and do they differ from secular justifications for violence? Can liberal societies tolerate potentially violent religious groups? Can those who accept religious justifications for violence be dissuaded from acting violently? 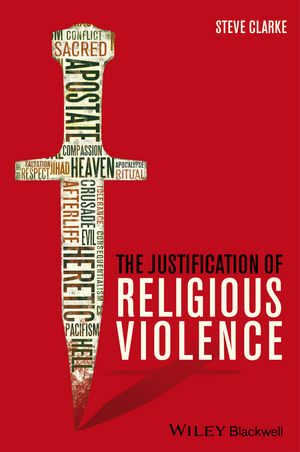 Including six in-depth contemporary case studies, The Justification of Religious Violence is the first book to examine the logical structure of justifications of religious violence. Steve Clarke is a Senior Research Fellow in the Centre for Applied Philosophy and Public Ethics at Charles Sturt University in Australia, and a Senior Research Associate of the Uehiro Centre for Practical Ethics at the University of Oxford. He has published over sixty academic papers and is the author of Metaphysics and the Disunity of Scientific Knowledge (1998), and co-editor of three books including Religion, Intolerance and Conflict: a Scientific and Conceptual Investigation (with Russell Powell and Julian Savulescu, 2013).